Pro Skater Tony Hawk (born May 12, 1968) is most famous for being the first guy to land a 900 and the second skater to land a McTwist. Tony has his own skateboard company, a TV production company, clothing and shoe line and over 10 video games published by Activision. Tony no longer competes, but he still performs occasionally. He's married and has four kids. 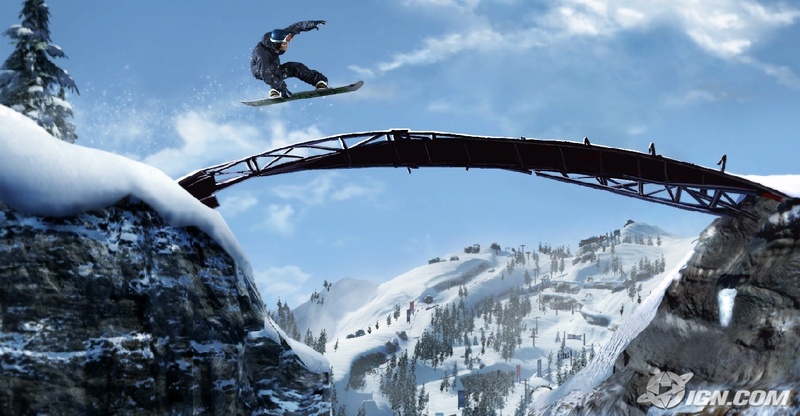 Better known in the snowboarding world, Shaun White AKA The Flying Tomato (born September 3, 1986) is famous for bringing home medals in every Winter X Games since 2002. When snowboarding season is over, he swaps his snowboard for a skateboard and dominates the competition. Shaun has tons of sponsors and is featured in two video games. Sheckler (born September 30, 1989) has been skateboarding since before he was two years old! By the time he was six, he was practicing tricks 22 hours a week in his back yard. Ryan Sheckler turned pro in 2003 after winning many prestigious competitions such as the X Games and the Vans Triple Crown. He's stared in several movies, has his own reality TV show on MTV, and is sponsored by top companies like Oakley, Red Bull and Etnies Shoes. Burnquist (born October 10, 1976) turned pro at just 15 years old. He's probably most known for winning the vert competition at the 2001 X Games. 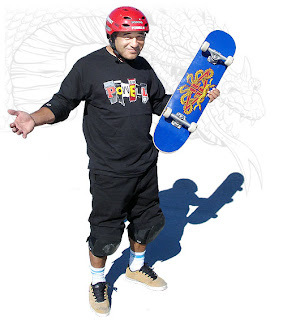 He received a score of 98 - the highest score given at the games for the skateboarding events, beating out icon Bucky Lasek. Burnquist is quite the trickster, pulling off incredible tricks and winning trick competitions. Caballero (born November 8, 1964) is known for creating a trick called the Caballerial. 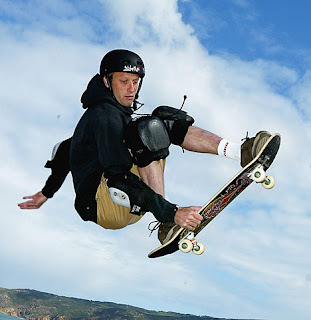 He's been on the cover of Thrasher magazine, appeared as a playable character in four Tony Hawk video games, and has been a member of several punk bands. He enjoys painting, collecting toys, and riding motocross. Bucky (born December 3, 1972) began his skateboarding journey at 12 years old, all because someone stole his bike! He turned pro in 1990 and became one of the most consistent skateboarders in competitions. He's known for pulling off incredible tricks that other skaters only dream about. Bucky has collected ten medals from the X Games, and several titles from popular tournaments like the Vans Triple Crown and Gravity Games. Bucky has appeared in a few movies, been a playable character in the Tony Hawk video game series, and is sponsored by companies like T-mobile, Element, Wendy's, and Rock Star Energy Drinks. Now that you know about some of the many skateboarding Icons; get inspired, go out and master the basics, learn all the tricks. You may become a skateboarding icon yourself someday. 28 comments on "Skateboarding Icons Shoes"
page and to this point? I surprised with the research you made to make this particular put up extraordinary. to and you're simply extremely wonderful. I actually like what you've received here, certainly like what you're saying and the best way through which you are saying it. You are making it entertaining and you still take care of to stay it wise. I can not wait to read far more from you. This is actually a wonderful website. Very good post. I will be experiencing some of these issues as well. Thanks for the post. It’s really a nice and helpful piece of info. I’m happy that you shared this helpful information with us. Please keep us up to date like this. Thanks for sharing. Shoppen Schuhe von Vans, Adidas, Converse, Nike SB, Emerica, Lakai und das ist nur die Spitze des Eisbergs. Niedrigste Kosten für Skateboardschuhe, kostenloser Versand am Boden. 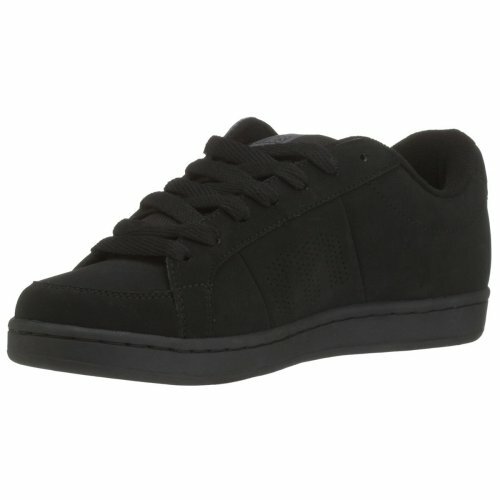 Von Modasto.de kannst du online Skateschuhe für Herren kaufen. Shoppen Sie heute und profitieren Sie von außergewöhnlichen Rabatten auf alle Skateschuhe.